A garbage disposal is a great convenience in every kitchen, considered by some to perhaps be more useful than needed in the kitchen; however, when one breaks down and garbage disposal repair in College Station must be found, that usefulness is definitely missed. Breakdowns seem to happen at the most inconvenient times – like holidays when the house is full of people, food, and cooking – and a lot of waste is being produced that is often run through a garbage disposal. Though not the most important appliance in any kitchen, those who have them definitely miss that usefulness when the disposal does not work. To prevent blockage and other problems, it is important to know how a garbage disposal unit should – and should not – be used to avoid garbage disposal repair being needed. The easiest way to damage a garbage disposal is to attempt to dispose of the wrong things. Damage can happen over a long time or after only one use. Learn what items to avoid and other ways to keep a disposal running properly. The basic rule of thumb is that if something does not sound right or if the unit is struggling to run, turn it off immediately and get it looked at by a College Station Texas garbage disposal repair technician. If the system is working, follow the following simple suggestions to keep it in good shape. 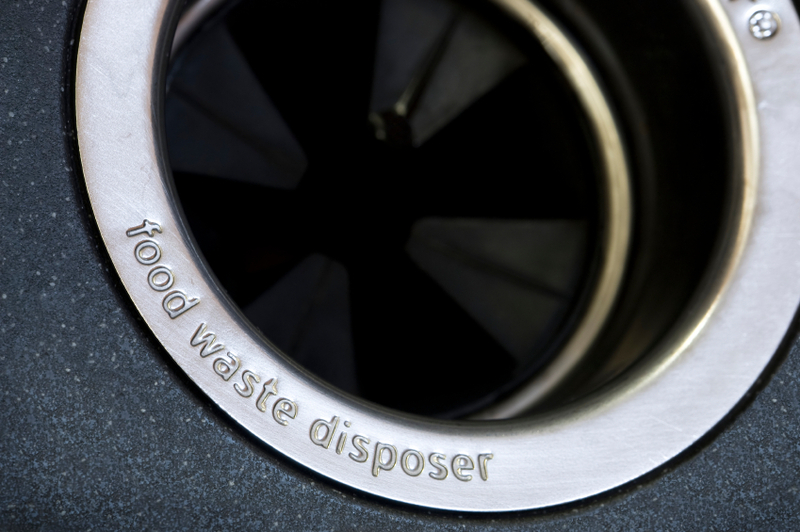 Approved for Disposal Use – Garbage disposals are made for getting rid of organic matter or food; however, not all foods should go into the unit as some can damage It is actually easier to list what should not be put into a disposal than what can be processed. Not Approved For Disposal Use/Non-Organic – Any item that is not organic should not be put into the disposal for two reasons: it could damage the unit and it could damage a septic system if that is being used. Plastic, glass, metal, paper, cigarette butts, and anything synthetic should be avoided. Not Approved For Disposal Use/Organic – Do not put bones of any kind into the garbage disposal as the units are not strong enough to grind them. Avoid stringy vegetables such as celery, corn husks, onion skin, pea pods, and even large chunks of lettuce as any of this can damage the motor. Grease, fats, or coffee grinds should be avoided as they can cause clogs as can eggshells. Pasta, rice or noodles can swell and become stuck together in the drain. Operation – Always run the disposal unit with a moderate flow of cold water while slowly adding contents, especially vegetable and fruit peelings. Though it might seem like hot water would be better, that can actually cause any grease that is present to liquefy and eventually cause clogs. Sharp Blades – Keep disposal blades sharp by grinding up ice cubes while running cold water; this will clean the blades and sharpen them as well. Degreaser – Use a garbage disposal degreaser every so often to help eliminate accumulated grease. In between, grind citrus peels regularly to keep unit smelling fresh and clean. If a garbage disposal unit has stopped because something is stuck, try to carefully remove the item with a pair of needle-nose pliers or some other type of grasping tool with the help of a flashlight; do not put hands in the disposal unit. Reset the unit by pushing the red button underneath to get it running again. If the problem seems to be a clogged drain, that can sometimes be remedied by closing off the sink drain, filling the clogged portion of the sink with cold water, opening the drain, and starting the disposal. That much water flowing quickly can many times break up caked-on food or push something through that is stuck. If the above suggestions are followed and the until still does not operate, it is time to call a garbage disposal repair service in College Station TX. Usually it doesn’t take too much to return a disposal unit to full operating capacity – ready to get the disposal job done! Need Garbage Disposal Repair in College Station? Call Aggieland Appliance Repair at 979-220-4297 For Fast Garbage Disposal Repairs!